Anyone can publish logos on a website, but someone with a success mindset will offer proof. In an effort to show authenticity, I offer links to public endorsements I’ve received from dozens of America’s leading citizens. Those testimonials show that I have a success mindset and that I teach others how to prepare for success. Learn from those testimonials; you’ll see the value of sowing seeds early for the success you want to build in the future. Expand accordion boxes below to verify authenticity of testimonials. I never ask anyone to do anything that I’m not doing. If you want to build a success mindset, then follow the guidance I offer. Build prosperity, and build your life! 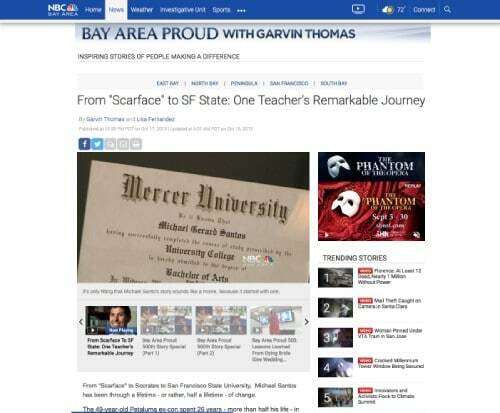 On October 18, 2013, NBC News in San Francisco broadcast a video profile of my journey. 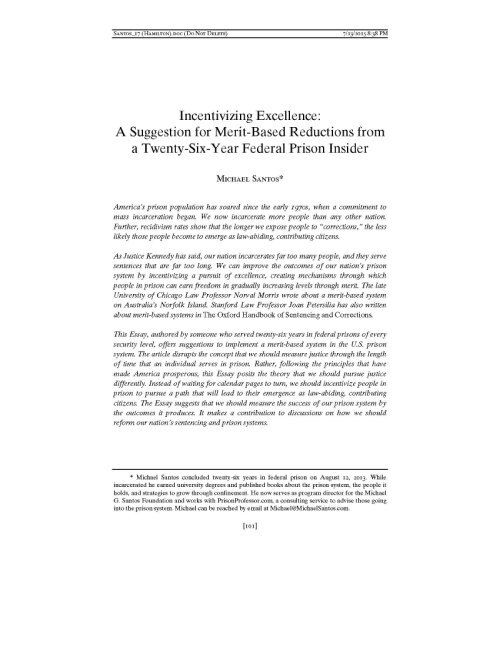 The video shows the methodical ways that I prepared for success while serving 26-years in federal prison. The video profile lasts about five minutes. I’m grateful to Garvin Thomas and Lisa Fernandez for putting so much work into the story. The news crew filmed me while I taught at San Francisco State University and also at my house. The video features the only photograph from my early journey in prison and told the story of how Socrates inspired me to begin preparing for a life of meaning and relevance. Viewers can watch as I worked at my computer, learning how to create digital content for the Internet. The news segment shows my wife, Carole, and books I wrote while I was in prison. See how created courses that I now sell to prison administrators from across the United States. The film crew also followed me while I spoke at The University of California, Berkeley. Since a person cannot buy this type of media coverage, I offer it as validation. Many people publish logos on their websites, but they don’t offer the backstory to show authenticity. On April 2, 2014, PBS NewsHour published a story to profile work I do to improve outcomes of America’s criminal justice system. The news crew filmed footage while I taught inside of a San Francisco jail. At the time of the broadcast, San Francisco State University employed me as a professor. The PBS NewsHour crew filmed as I taught. Later I spoke at a professional conference for more than 1,500 executives in Silicon Valley. The news crew followed to film for that keynote presentation. They also filmed me in the first property I purchased to launch my real estate career. This opportunity opened because an executive at PBS NewsHour happened to be in the office when I keynoted a conference for the California Wellness Foundation. The California Wellness Foundation has been a huge sponsor of work I’ve done to teach and inspire people in prison. My friend and partner, Justin Paperny, launched a nonprofit organization to spread this work. I wrote grant requests that have resulted in more than $1 million in funding from the California Wellness Foundation. We’ve used those resources to create digital content that teaches and inspires more than 100,000 people in prisons across the United States. To overcome struggle, we must sow seeds early. I began sowing those seeds at the start of my journey. As years passed, I found mentors that have been enormously influential in my life. One of those mentors is Joan Petersilia, the Adelbert H. Sweet Professor of Law at Co-Director of the Stanford Criminal Justice Center. While I was in my 22nd year of imprisonment, Joan reached out to me. 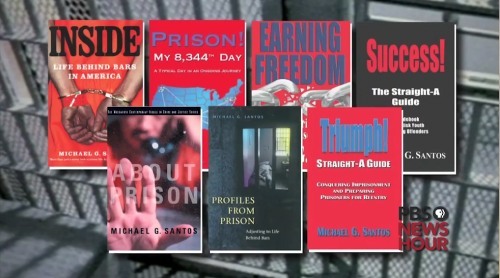 She told me that she had been using some of my books to help her students understand America’s prison system. 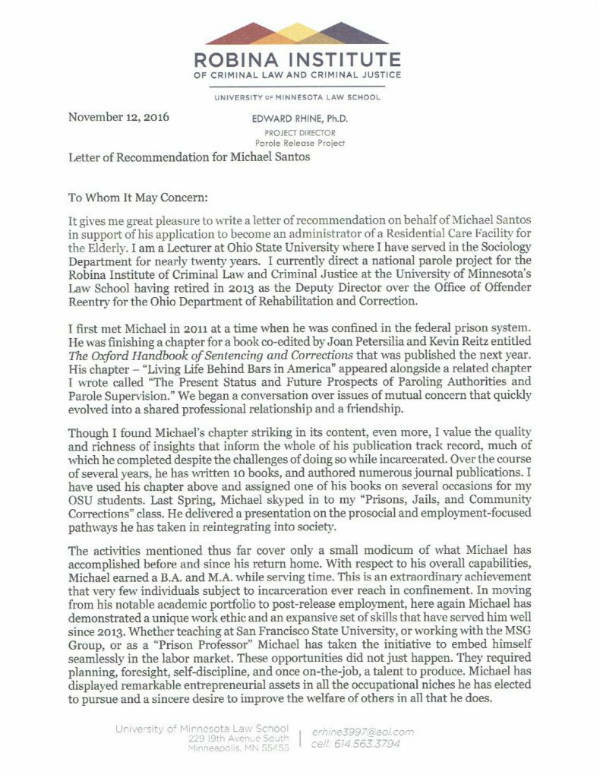 She invited me to contribute a chapter to her book, The Oxford Book of Sentencing and Corrections, a scholarly book that is used in universities across the United States—including Stanford University. Being invited to contribute a chapter to Joan’s book was one of many highlights during my 26-year journey through prison. As I approached the end of my time in confinement, I asked Joan for an endorsement. The letter I attach is what she wrote on my behalf. Joan later updated her letter so that I could use it as a resource for an entrepreneurial venture I was beginning. I never tell anyone to do anything that I didn’t do and that I’m not still doing! Start sowing seeds for success early. 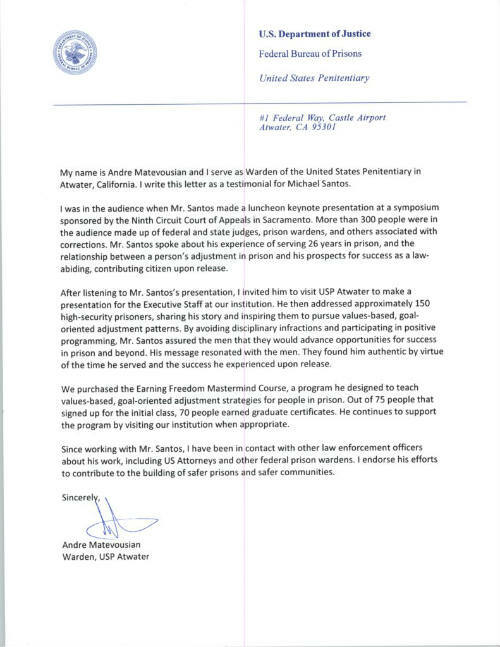 Through those testimonial letters, you can see how I began sowing those seeds early during my journey, deep within the bowels of America’s federal prison system. Despite living in struggle, I never I also had hoped—and I always worked to teach and inspire others. Those efforts led to opportunities, like when an editor from Forbes magazine reached out with an offer. 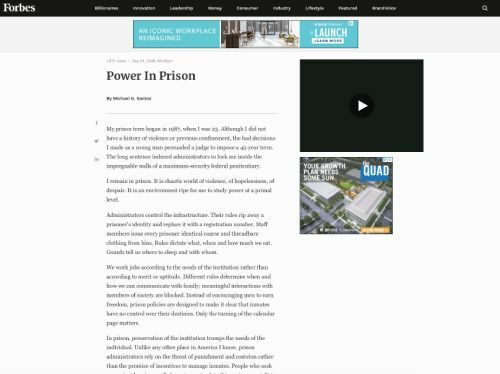 The magazine was publishing a series of articles on power. The editor invited me to contribute. Below I include a link to the article that is still alive on the Forbes website. The salient point for readers is to see that if we want to build strong support networks that we can leverage into new opportunities, we must work. I worked every day, through 9,500 days of imprisonment. The efforts helped me build a massive support network and income opportunities that I leveraged upon my release. The time is now for you to begin sowing seeds for success. While building my portfolio of real estate properties, I simultaneously built other businesses. One business I built produces digital content that I sell to improve outcomes of America’s criminal justice system. My clients for those products include the federal government, state governments, and school districts. It sometimes leads to keynote speeches, that reporters cover. 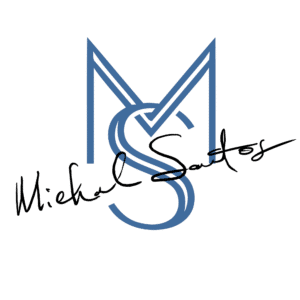 In August of 2017, I gave one of those keynotes at a conference for Safe Schools in Orange County California. I’ve done a lot of work with the Orange County Department of Education and I was pleased to make my presentation at the conference of about 500 people. If you want to build a life of success and prosperity, you’ve got to draw your line in the sand—let the world know that you’re moving in a new direction. I strive to show others how making such an affirmative statement to grow can lead to new opportunities. The profile available at the link below validates the story of how a journey that starts in struggle can move into prosperity. Here is the background. On August 11, 1987, when I was 23, authorities took me into custody. I sold cocaine and I faced serious charges. At the time of my arrest, I was not ready to accept responsibility. Instead, I continued making bad decisions, like pleading not guilty and going through trial. Stuart Eskenazi, a journalist, covered the story of my trial for the local newspaper. After a jury convicted me, I made a decision to work toward reconciling with society. Socrates inspired me to want to change, to want to grow. I began building a pathway to success. And to memorialize the change in my mindset, I wrote a letter to Stuart Eskenazi, the journalist. In the letter, I told him that I would spend every day in confinement working to make amends and to grow. If he wanted to discuss my plan, he could visit me in the jail. That letter represented my line in the sand. Stuart visited me in the Pierce County Jail. He interviewed me. That interview led to a front-page story. Twenty years later, I was still in prison. But I’d made a lot of progress. I was then confined at the federal prison in Lompoc, California. Stuart flew from Seattle to Lompoc to interview me for a feature story in the Pacific NW Magazine. In the article, he confirms what I told him at the start of my journey, and wrote about the progress I made during my first two decades in prison. If you’re on a pathway to success, develop the right mindset. I had the mindset for success from the earliest days of my journey. The accomplishments I made in prison brought leaders into my circle of friends. One of those friends was Greg Reyes, the former CEO and Chairman of Brocade Communications. We became friends while Greg was with me in Taft. He was not a runner when he came in, but we ran several marathon distances together in prison. When I concluded my sentence began building my career in society, an editor from Business Insider began to cover my work. She asked me to publish stories in the business magazine. As we conversed, she learned about my relationship with Greg, a billionaire investor and a friend of mine. That led to her publishing a story which you can access from the link below. You can also see other stories that I wrote for Business Insider by clicking the links. If you want to prepare for success, you can learn from the guidance I offer. Notice that I never ask anyone to do anything that I didn’t do. I live transparently. I invite the world to hold me accountable. By living in accordance with the mindset of success, opportunities opened. For example, read this front-page article from the San Francisco Chronicle. Within days of my transfer from a federal prison to a halfway house where I would serve my final year, I received a phone call from the editor of the San Francisco Chronicle. The editor told me that he had been following my work on preparing for success while I was in prison. He asked if a reporter could write a feature profile to chronicle my return to society after multiple decades in prison. I take every opportunity to build awareness, to get attention. Attention is what I use to leverage my career. We can welcome attention when we’re honest, and when we live transparently. 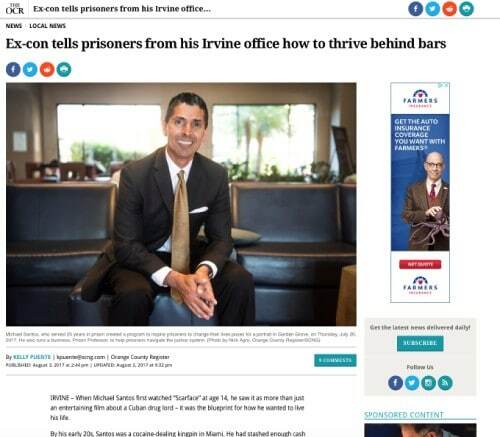 I leveraged this article in the San Francisco Chronicle into many new opportunities—including a career as a keynote speaker, and a career as a professor at a major university. This article also helped me to raise millions of dollars in financing to begin my career as a real estate investor. 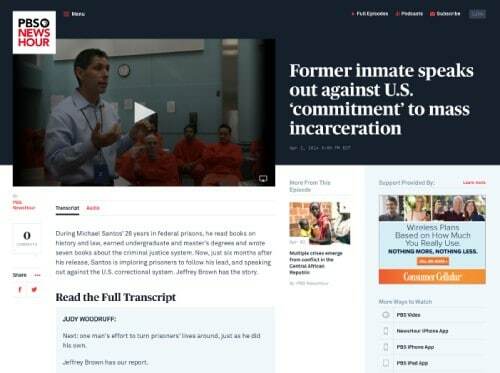 When St. Martin’s Press published Inside: Life Behind Bars in America, more than 50 major newspapers brought attention to the work by publishing book reviews. The Los Angeles Times Sunday Book Review retained a celebrated writer who won a Pulitzer Prize for journalism to write the first review. The review by Ed Humes brought my work to the attention of more than 1 million people. I could leverage the review to open new opportunities. Use this strategy of building support to open new opportunities in your life. On September 10, 2006, The New York Times Sunday Book Review published Tara McKelvey’s take on the book I wrote. It’s a tough to get one of the world’s most influential newspapers to bring attention to an author’s work. I wouldn’t even consider myself an author—even though I wrote dozens of books. Yet while I was in prison, I worked hard to build new relationships. I believed that new relationships could influence prospects for success, opening new opportunities. Think of how you can open new relationships, then use those relationships to advance your business or career. 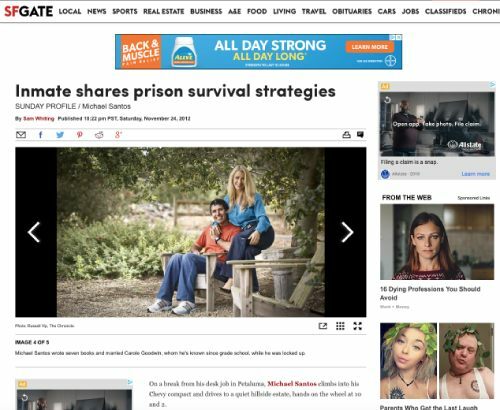 While I was locked in prison, I used every opportunity to get attention from the media. Attention in the media would expose my work to millions of law-abiding American citizens. I hoped to reconcile with those citizens. If I could influence people to judge me for the work that I did to atone, I hoped to overcome their perceptions of me as a prisoner. If you’re striving to advance your life, your business, your career, think about the people you will meet in the future. What can you do today to sow seeds for how others will see you later? I reached out to newspapers like the Huffington Post and pursued opportunities to write. By clicking the link below you’ll my author profile and see that I wrote extensively and regularly. In the fall of 2015, the University of Washington invited me to make a series of presentations on the subject of mass incarceration. 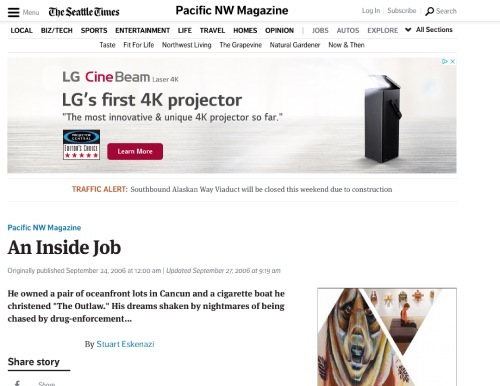 Before traveling to the Pacific Northwest to make a lengthy keynote presentation for the community, and a series of classroom presentations, I reached out to a journalist at the newspaper. I went to trial in Judge Jack Tanner’s courtroom at the Federal District Court in Tacoma back in the late 1980s. 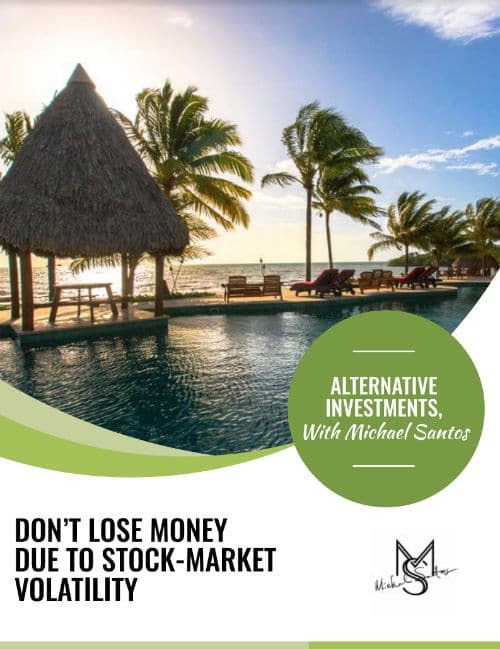 Returning to tell the story of how hard I worked to prepare for success brought me a sense of fulfillment, and I am grateful to Alexis Krell for showing interest in the story. If you’d like to see the keynote presentation, visit the keynote section of this website. When I transferred from federal prison to a halfway house in San Francisco, one of my mentors recommended that I begin publishing articles on Quora. The link below provides access to 61 articles I wrote. 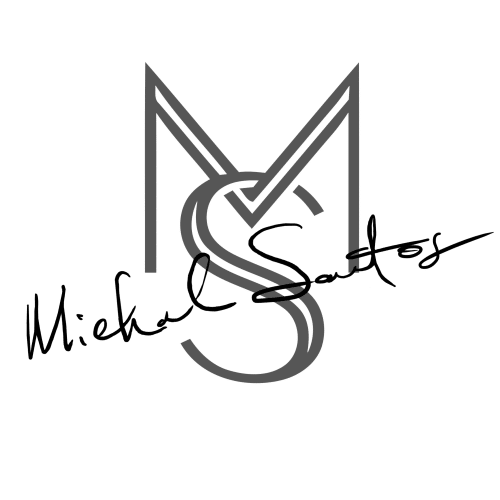 As of September 20, 2018, those articles have generated more than 1.9 million views and they connected me to many opportunities. These efforts I made to open opportunities with journalists shows the continuous effort I make to build a strong support network. That strong support network had a huge influence on the success I was able to build after prison. If you want to build a stronger support network, raise capital, build your career, or do anything, then take action. 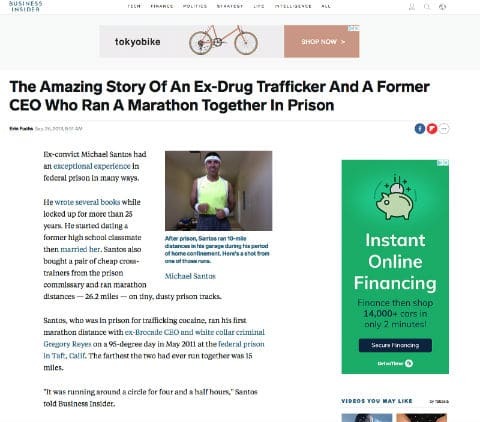 As a direct result of the hundreds of hours I invested to write for Quora and other newspapers, my level of influence grew after authorities released me from prison. An organizer from TEDx contacted me after reading some of my work and invited me to make a presentation at a TEDx event in Silicon Valley. At the time of the presentation, I was still confined to a halfway house. But I was making progress, daily progress toward building my career. My friend and mentor flew me to the presentation from the North Bay of San Francisco to Silicon Valley so I could have a good memory of the event. Projects like these showed my eagerness to contribute to society, and those contributions helped me to open financing opportunities that led to the acquisition of real estate. Remember that one step leads to another. Think of how the steps you’re taking today will lead to the success you want to become tomorrow. I had to learn how to use technology while I was in the halfway house. It was a thrill for me, as I knew that by investing in myself, I would open opportunities to grow and build my career. In what ways are you investing in yourself today to build a better future? 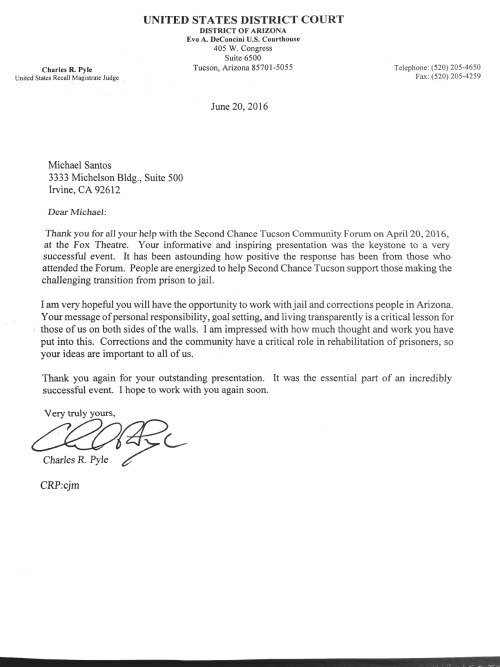 Another editor from an online newspaper invited me to become a contributing author when I was finishing the final year of my prison term at the San Francisco Halfway House. I seized every opportunity to build more awareness. The more people I could reach, the more potential I would have to make a positive contribution. Positive contributions helped me build influence. And influence helped to advance my career. The link below shows a series of articles that the Daily Dot published about my journey. Those articles opened new opportunities that I could leverage. Professor Colin Harris taught at Mercer University while I served time in federal prison. He knew me at the start of my journey and he knew the level of commitment I made toward growing and improving my life. As I approached the end of my journey, Professor Harris wrote an article about what he knew about my experience. It’s important to sow seeds early. Those seeds grow stronger. They become essential to creating new opportunities. At any time we can sow seeds that will help us build influence, or get attention. That attention becomes an opportunity. Those opportunities can advance our career and our life in years and decades to come. Think about what you can do today to build a stronger tomorrow. Besides writing books, I wrote scores of articles for others to help bring attention to the work. It was my way of reaching out from the bowels of a federal prison to connect with society. By reaching out, I made a connection with John McReynolds and he published a nice review of my work, which you can see by clicking the link below. Think about how you can use this strategy to build your career. After I transferred from 25 years in federal prison to begin serving my final year in a San Francisco Halfway House, a mentor of mine who was a professor at Stanford Law School, Joan Petersilia, introduced me to the publication known as California Forward. The online magazine invited me to contribute a series of articles that would help citizens what it was like to return to society after decades. The link below shows how hard I work to contribute. In 2014, editors from the UC Hastings Law Review wrote to invite me to deliver a keynote presentation at a judicial symposium. I felt honored to deliver a presentation to the legal community in San Francisco. After the presentation, the editors suggested that I contribute an article to the Law Review. Below is the link to the article I wrote that UC Hastings published. The Robina Institute is an influential policy group at the University of Minnesota Law School. In 2013, I received an invitation to participate on an advisory panel. Other participants included leaders from law enforcement in several states. There were approximately 100 members on the group; all of them were at the Director level. I learned a great deal from the process, and I also had an opportunity to advocate for change in the criminal justice system. Professor Ed Rhine wrote a nice testimonial that I’ve used to leverage my career. Always think about seeds you can sow today to build more support and strength to overcome challenges ahead. Endorsement by Ed Rhine, Ph.D. I gave several presentations at Stanford that resulted in several leaders from Silicon Valley becoming aware of my work. One of those presentations resulted in an invitation to speak at a corporate event hosted by Joint Venture Silicon Valley, where I spoke before 1,500 of the most influential technology executives. That presentation opened several opportunities that I’ve used to leverage my career. Remember that the seeds you sow today can lead into fruit that will feed you for a lifetime. 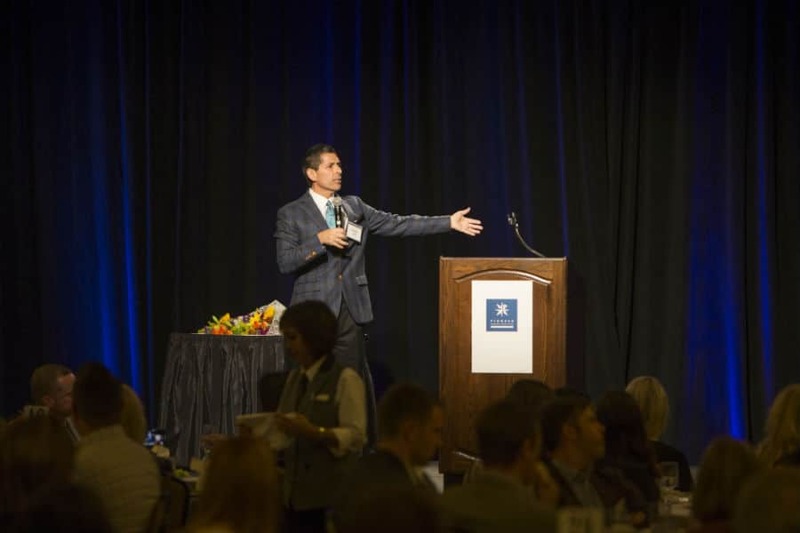 Within a few weeks of concluding my prison term in San Francisco, in August of 2013, I traveled to San Diego so that I could keynote a conference for California Wellness Foundation, a billion-dollar philanthropy. If you would like to see the keynote, please click the link below. You’ll see that the philanthropy provided more than $1 million to fund the creation of my work. Programs I created now reach more than 100,000 people every year, and I’m grateful to California Wellness for being so supportive. As a result of my commitment to writing and building a broad support network from inside of prison, I attracted the attention of prison authorities. Frequently, they responded to the influence I built in society by locking me in segregated housing. They threatened to separate me from visits or telephone calls or mail. This article shows some of the challenges my wife had to go through as a result of my commitment to building a support network. What mountains are you willing to climb in order to build a life of success, meaning, and relevance? We always must strive to build support and create opportunities. As a result of my writing for so many publications, I came to the attention of many people. Articles I published in Quora have received nearly two million views. One of those views was a professor who worked with Wikipedia. He sent me a note telling me that he wrote an article about my journey in Wikipedia. That’s a great resource because other people use the article to learn more about how hard I worked to prepare for success upon release. Since the initial article, others have contributed to update it. 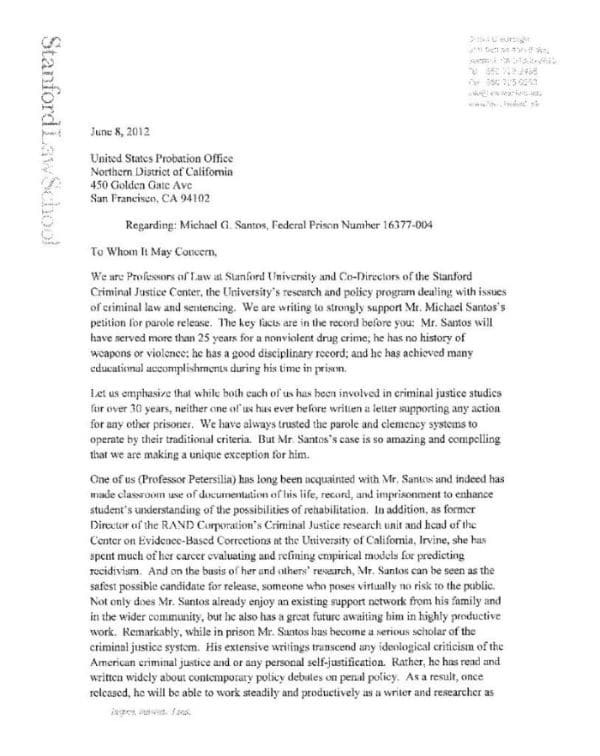 Within a few weeks of completing my prison term, San Francisco State University hired me to serve as an adjunct professor. I created a course to teach students about the origins of mass incarceration—focusing on steps we could to improve outcomes of the criminal justice system. The course was widely popular, resulting in substantial amounts of media coverage. You can see some video coverage by visiting the Keynote page of this website. Below is a link to student reviews of my work as a professor.